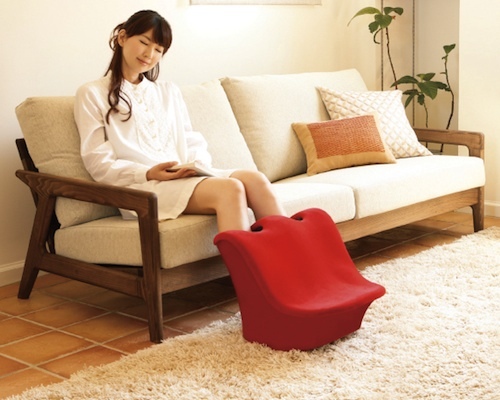 Get the Japanese hot spring foot bath (ashiyu) experience right in the comfort of your own home now with the Pokapoka Foot Bath, a perfect remedy for soothing your aching limbs after a tiring day. 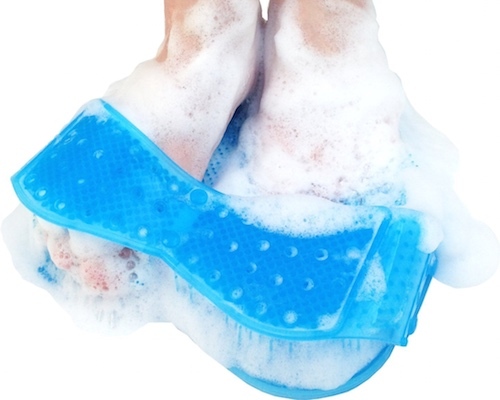 A foot bath heats your feet, rejuvenating your health and helping fight fatigue and stress. 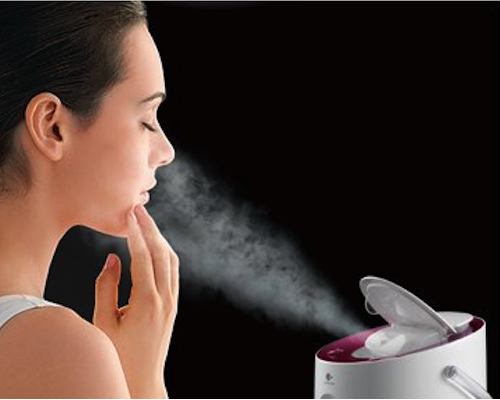 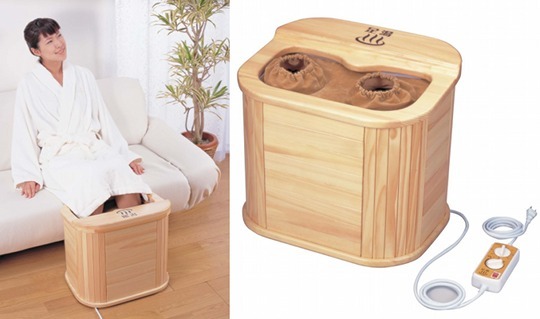 It is all operated by two simple dials, the upper one for the timer and the lower one for adjusting your foot sauna to the temperature that you want. 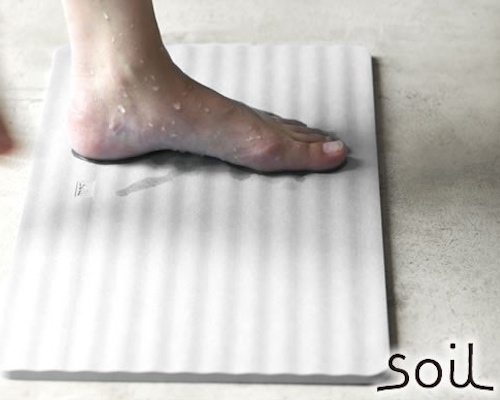 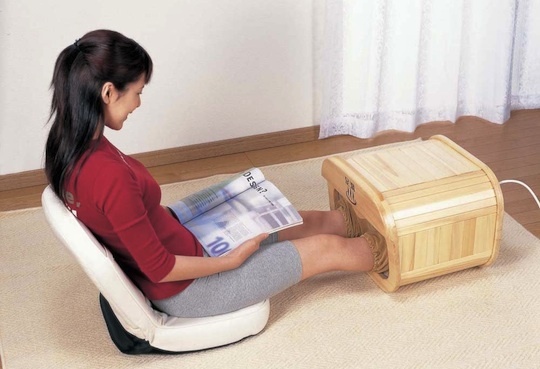 No water is required since this neat foot bath actually employs infrared radiation to do the hard work, simulating the effect of an ashiyu without the burden of dealing with hot water. 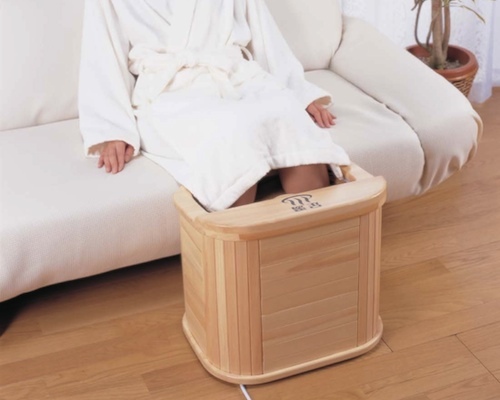 The foot bath is made from natural Agathis wood and uses electro-thermosensitive infrared film to heat your feet, which will spread to the rest of your body. 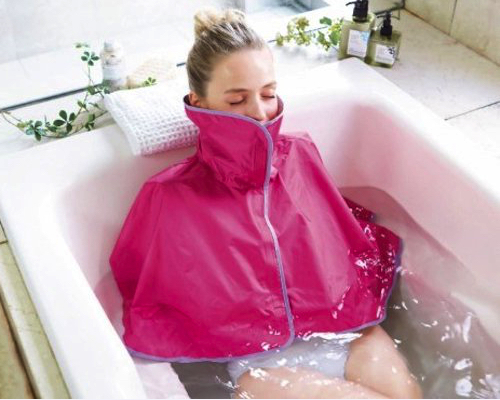 You can lay it down flat too (there is no danger of water spilling out from this bath!) 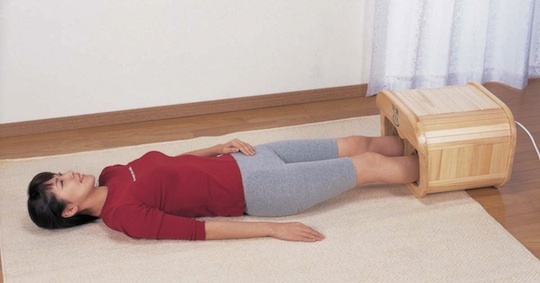 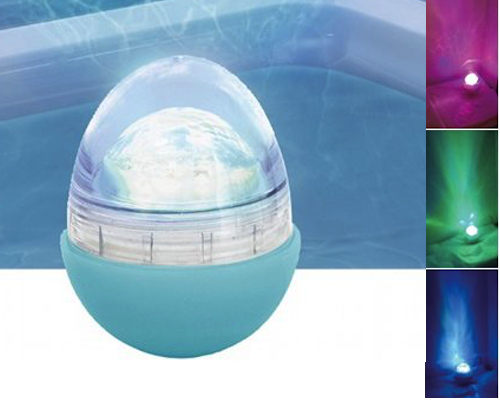 so you can sit right on the floor with your feet inside or even lie down to relax completely.